To use the lodges, you must have a Serac lodge key with you so you can access the lodge. One key fits both lodges. Please remember to take this key with you so you can unlock and access the lodge. If you have not got a key for the Serac lodges, you can obtain one from the Administration Officer. Please obtain a key before the season starts. Each key costs $25.00. In addition to the key, the door at Whakapapa lodge also has a security lock (with a key pad). The code changes from time-to-time. Please check with the Administration Officer for the current code AHEAD of your trip. Trip leaders will be appointed once bookings are confirmed on the Monday immediately prior to the trip. Every trip leader will be sent a set of instructions prior to the trip. The Administration Officer will, without guarantee, help to coordinate transport sharing if required. Members accepting lifts should contribute to the costs of transportation. 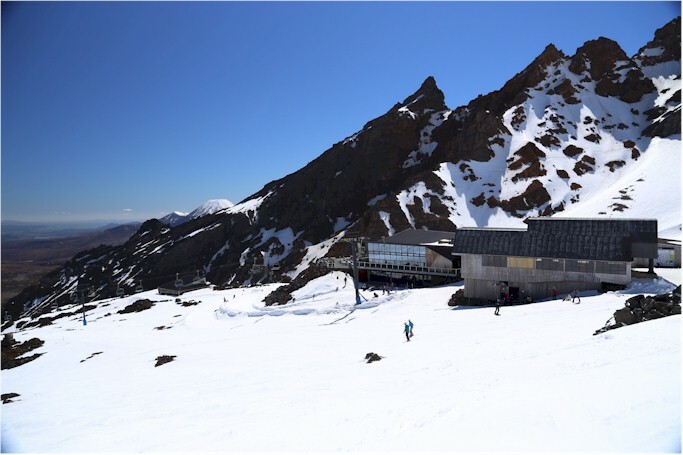 At Whakapapa Lodge there are 24 bunks. There are four bunkrooms each with two double and two single bunks. At Turoa Lodge there are 18 bunks. There are three bunkrooms, one with two double and two single bunks and two with one double and four singles. Each lodge has a collapsible cot which can be set up in the bunk room. Children under 10 may be required to share a single bunk. The capacity of each lodge must not be exceeded. Over booking of the lodge by sleeping in the lounge is not permitted. The Administration Officer and / or Trip Leader have discretion to shelter more members, their Guests, or non-members, where an emergency overrides the requirements set by the Department of Conservation, or by regulation. Situations may arise where people’s safety is at risk (e.g. severe weather). In such a case, the safety of existing Members and Guests should not be compromised unnecessarily. Where Serac shelters persons in need, then normally the policy is that a donation may be made to Serac that equals 50% of the Bunk night fee for ordinary Members.